Jars are so wonderfully versatile! They come in a variety of sizes, so can be adapted to projects of any scale. 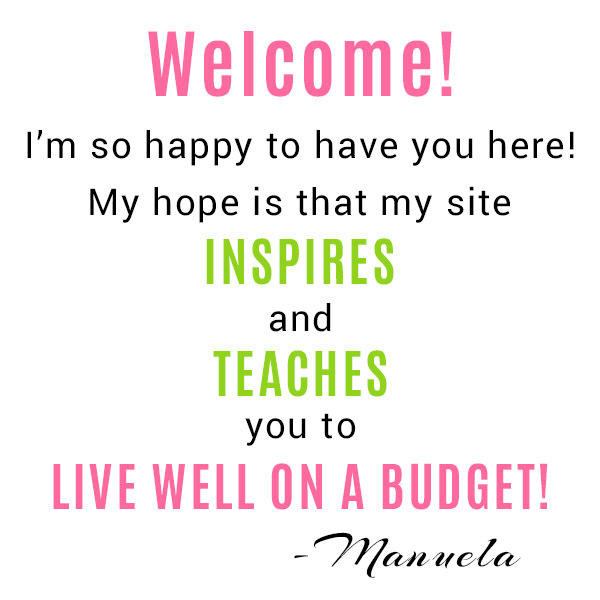 I like to use them in DIY projects, organization, homemade beauty products, and to hold a variety of delicious recipes! 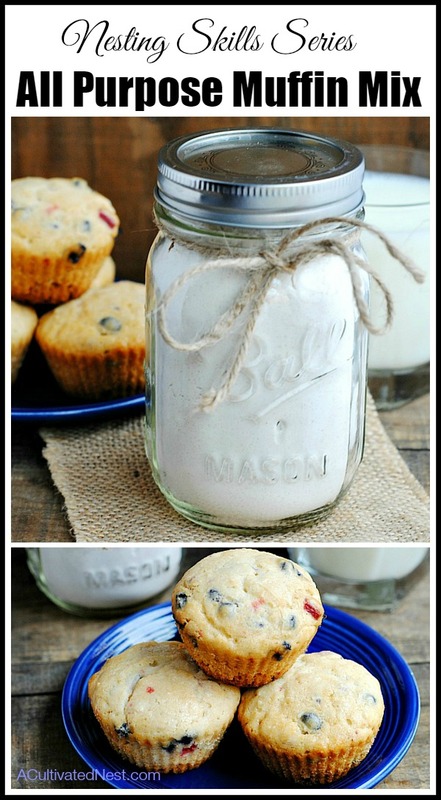 If you’ve never used jars to bake in or to hold homemade mixes, you’ve been missing out! You have to try making one of these 12 Yummy Recipes in a Jar! 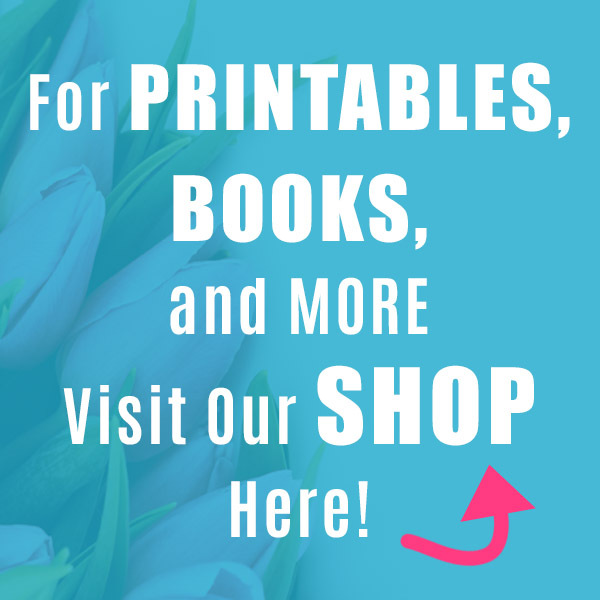 With a little adornment, these yummy recipes in a jar would make lovely gifts! 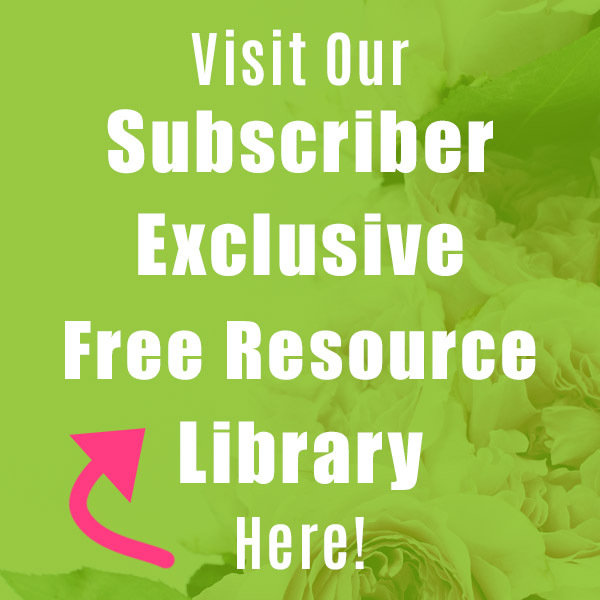 Consider using pretty ribbon or yarn to make a bow, and don’t forget a nice gift tag! This makes a wonderful gift for anyone who likes cookies! They’ll especially like the added crunch from the M&Ms! 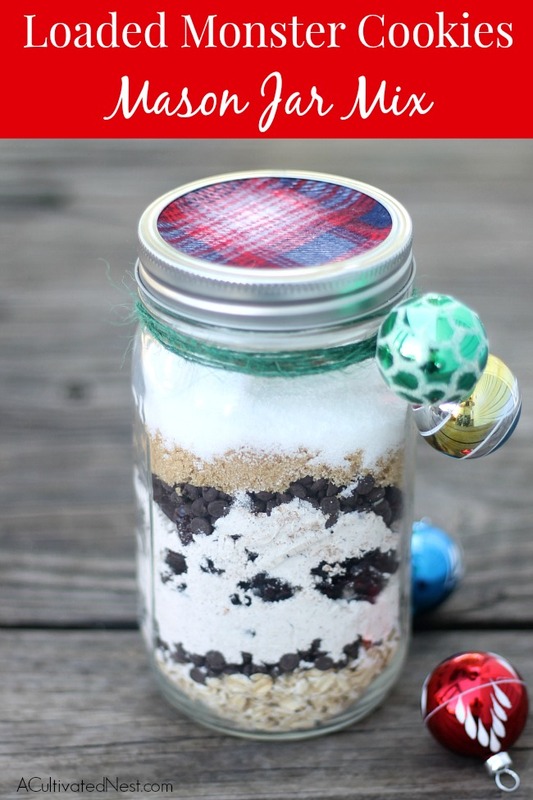 Follow my easy instructions to put together this M&M Mason jar cookie mix! This is one of A Cultivated Nest’s most popular recipes! Whether you give this away, or keep it in your pantry for quick homemade brownies later, you’ve got to mix up this homemade brownie mix in a jar! If you like flavorful cookies, you’d love these! These are such a delightful swirl of flavor, you’ll want to always have a few jars of it on hand! Follow my directions to make this loaded monster cookies Mason jar mix! I love berries! 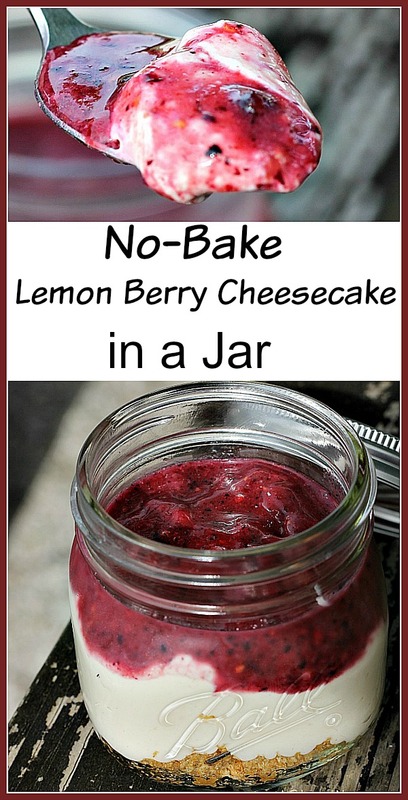 Which is why I love baking these mini lemon berry cheesecakes in jars! They’re so delicious! Save money and avoid preservatives with this recipe! 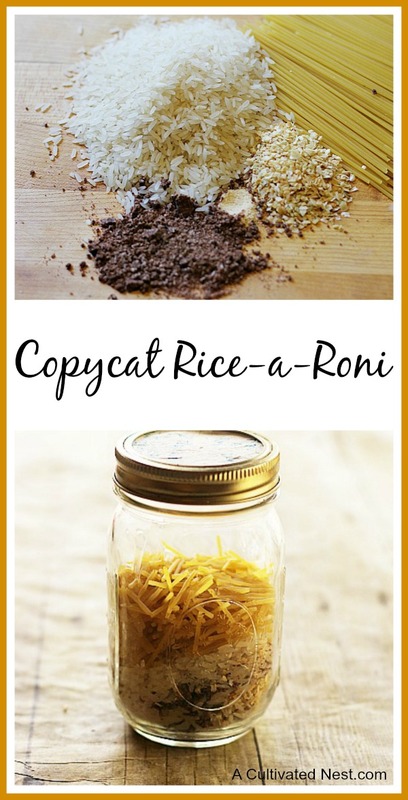 Follow my instructions to easily put together your own jar of copycat Rice-A-Roni! Hot cocoa is perfect for the winter, but I actually enjoy it year-round. A jar of this Mason jar cocoa mix would make a lovely gift for friends, family, or co-workers! If you like sauerkraut, but don’t like how much it costs in the store, you’ve got to try making your own homemade sauerkraut in a jar! This is such a fresh tasting dessert, thanks to the strawberries. If you like strawberries, whip up a couple of these no-bake Mason jar strawberry cheesecakes! If you like to bake, you’ve got to have at least one jar of this homemade all purpose muffin mix in your pantry! Easily add your own mix-ins to make a large variety of delicious muffins! Crisps are some of my favorite desserts! 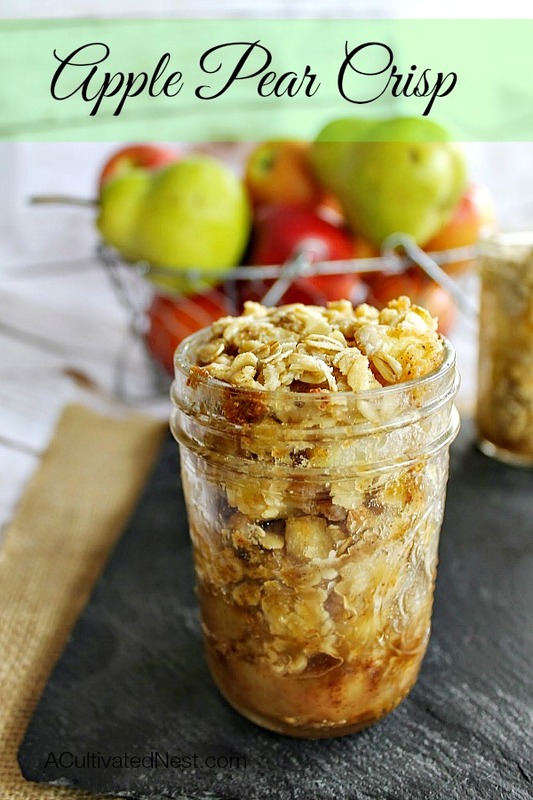 If you’ve got some extra apples and pears that are about to go bad, whip up some apple pear crisps in jars! If you’re like most people and love Nutella, then you have to make this! It’s such a wonderful combo of Nutella and strawberry flavors! 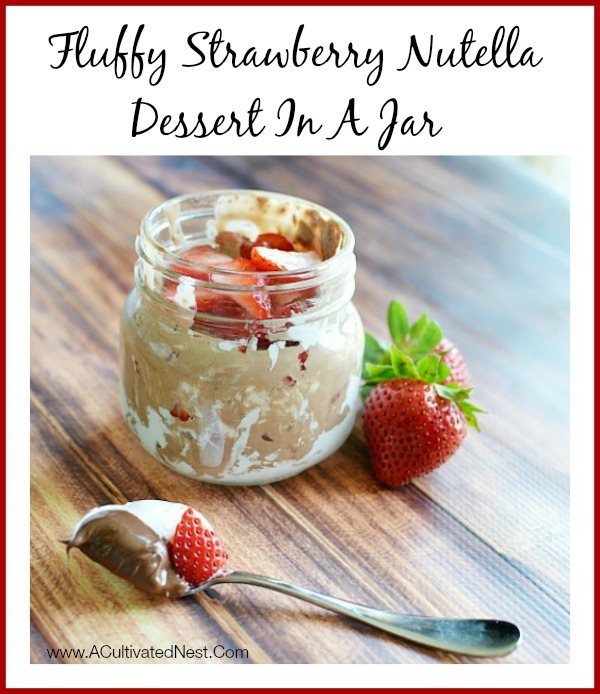 Follow my recipe to make your own fluffy strawberry Nutella dessert in a jar! This copycat recipe should be a pantry staple if you make a lot of biscuits, pancakes, or waffles. 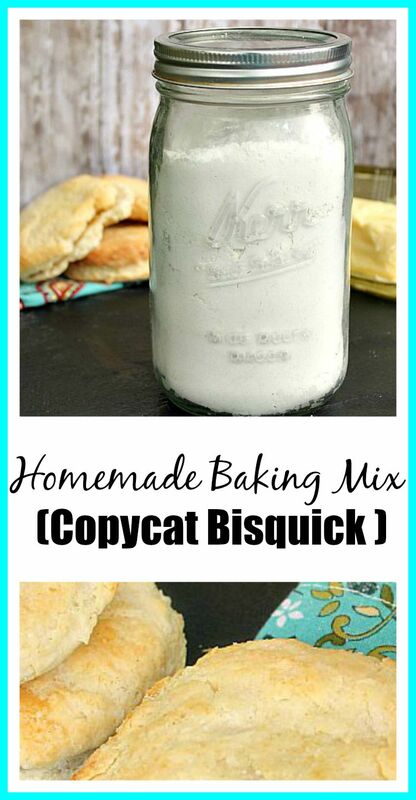 You can easily mix up your own homemade Bisquick baking mix in a jar! 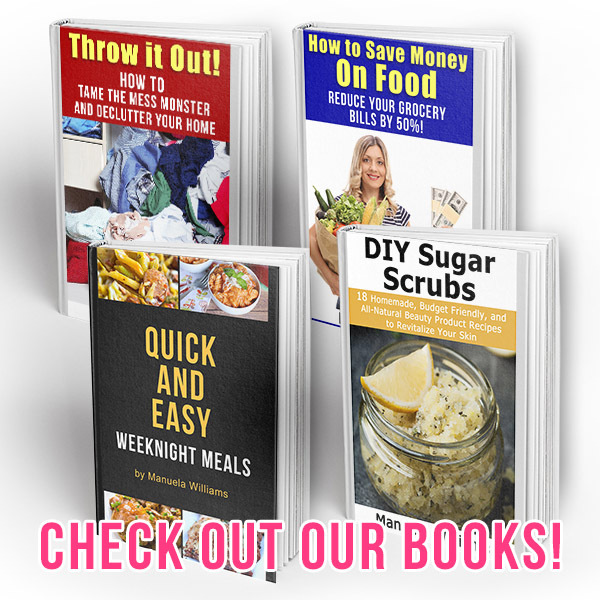 Have you ever made a jar recipe before?